Be part of something special. At Extend we love what we do - providing outstanding experiences and opportunities for children. Joining our passionate team, there will be many outstanding experiences and opportunities offered for you too. We believe our people make the difference and therefore we invest in them, providing you with career development that you can only get with Extend. 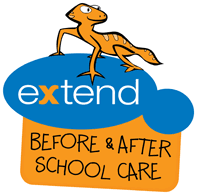 If you're a career educator you belong with the Extend Team.Benefits of working at Extend?We invest in our people to achieve great outcomes. We are the largest OSHC provider who don’t use agency staff. We attract, develop and retain the best educators.Ongoing professional development to support your successCareer advancement opportunities to help you grow as a professionalAutonomy to run your own service and bring your unique skills and talentsPositive organisational culture that recognises and rewards hard workInnovative industry leader ensuring quality is forefront to all we doWhat's on offer?Monday – Friday After School Care 2.30pm - 6pmVacation Care 8am - 6pmMust be avaliable to work minimum 3 afternoons per weekLocations; South Perth, Claremont, Mount Lawley and Peppermint GroveKey ResponsibilitiesAssist with the development of exciting and stimulating activities for childrenLiaise with the families, school leaders and build strong relationshipsCreate a welcoming environment and positive workplaceWork closely with Service Coordinator to deliver a high quality programSupport and guide a team of assistantsWhat you will need to succeed:Completed a Cert IV, Diploma in Children's Services or Bachelor of Education or equivalent.Level 2 First Aid, Anaphylaxis & Asthma Management Training, or willing to obtainWA Working with Children Check or Teacher's Registration Card, or willing to applyChild Protection Training, or willing to obtain If you are interested in working for a child safe organisation that makes a difference in the quality of life for many, we would like to hear from you. Apply Now!Why work for Extend? Be part of something special. At Extend we love what we do - providing outstanding experiences and opportunities for children. Joining our passionate team, there will be many outstanding experiences and opportunities offered for you too. We believe our people make the difference and therefore we invest in them, providing you with career development that you can only get with Extend. If you're a career educator you belong with the Extend Team. Benefits of working at Extend? We invest in our people to achieve great outcomes. We are the largest OSHC provider who don’t use agency staff. We attract, develop and retain the best educators. Completed a Cert IV, Diploma in Children's Services or Bachelor of Education or equivalent.